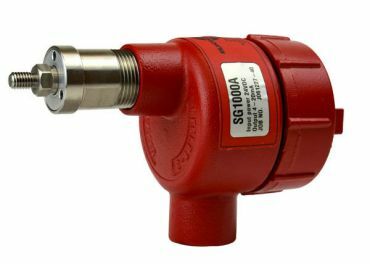 Electro-Sensors SG1000A is a 4-20 mA output slide gate sensor that provides independent and accurate feedback of gate or valve position to an external device such as a PLC or optional process meter. 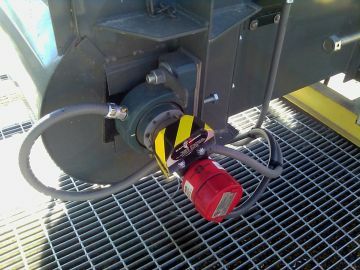 The FB420 Shaft Speed Switch / Shaft Speed Sensor with SPDT Relay works with Electro-Sensors magnetic pulser discs and wraps. 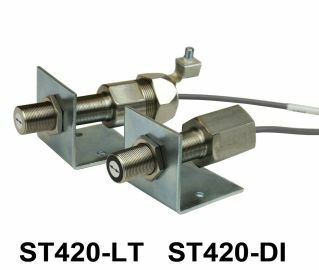 The patented ST420-LT and ST420-DI are 2-wire, loop-powered, 4-20mA analog output shaft speed sensors. They detect passing magnets of a shaft-mounted pulser disc or wrap and output a smooth, continuous 4-20 mA analog signal.